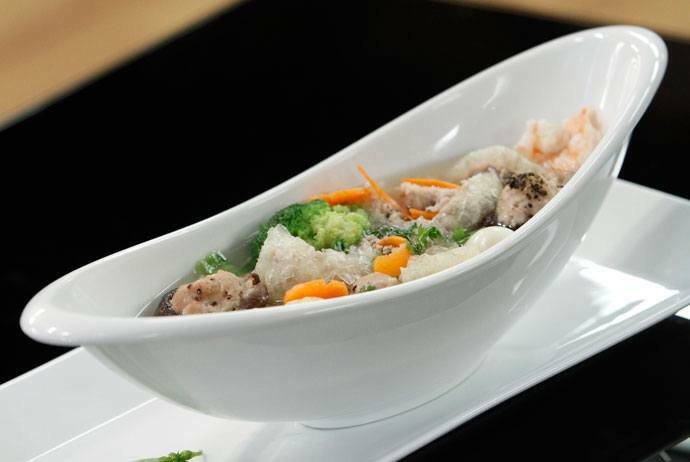 Sun dried pig skin soup is cooked from dried pig skin, kohlrabi, carrots, and peas. Kohlrabi, carrots are trimmed into flowers. They should be watched carefully for not being overcooked. Julienned meat pie and fried egg, and teared shrimp will be put into a bowl with some corianders. When people eat the dish, they will need to pick up each ingredient and put into a bowl. Peeled shrimp and filet are also cooked with water before for fresh and delicious broth. 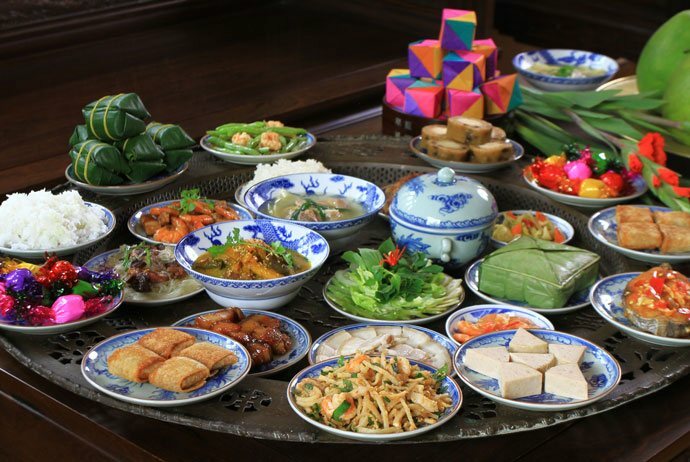 Unlike the North in the cold weather with Chung Cake, fatty meats, pickled spring onions, the Central is associated with the aroma of delicious foods, such as Tet Cake, pickled vegetables, sour meat pie, and meat soaked in fish sauce besides the yellow color of apricot blossom. On Tet in the Central, every family, despite those filled with delicacies, is indispensable to go without these rustic dishes. The Central people prefer the gaudy so the New Year dishes are cooked so thoroughly and meticulously. 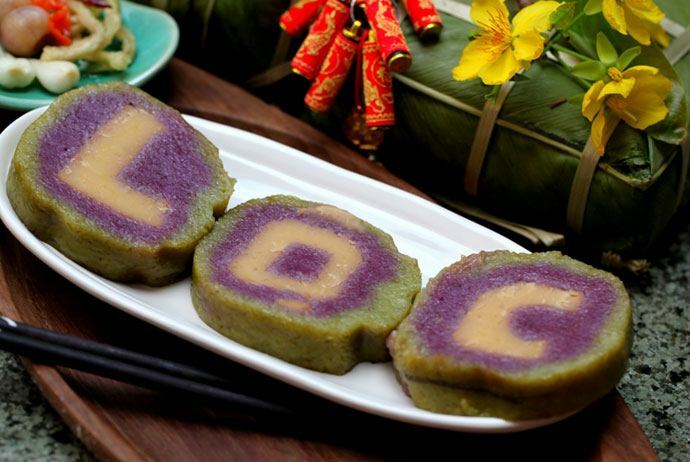 In the Central Vietnam, people often make Tet Cake on Tet holiday. Tet cakes are wrapped in banana leaves with the stuffing includes glutinous rice, crushed green bean, and pork – similar to Chung Cake in the North. Tet cake is wrapped in the shape of a long cylinder. When people eat Tet cake, they will cut it into small and beautiful slices. Tet cakes are very solemn on the New Year feast of many families in the Central area. In the spring, all families put a pair of Tet cake on the altar to worship the ancestors. People in the Central will also cut Tet cake into beautiful slices to invite the guests when they come to visit the family in the first New Year days. Tet cake is usually served with salty pickles.